"When Chronicle managing editor Audrey Cooper suggested Camp Mather as a subject for this archive series, I hesitated. The best nostalgia trips generally feature architecture, fashion and cars — three things that change the most over time. Change of any kind isn’t plentiful at Camp Mather. But once Chronicle librarian Bill Van Niekerken pulled the photos, I realized the lack of cultural inertia made the place even more special. It shows how much history that we had to lose, and makes the efforts of the firefighters that saved the structures seem that much more dramatic. One more thanks to the firefighters who secured the area and saved generations of family memories. 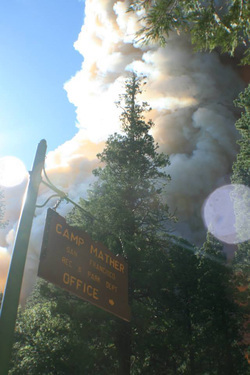 According to Camp Mather officials, the San Francisco Fire Department, National Park Service, U.S. Forest Service and Recreation and Park Department have all had a hand in keeping the core of Camp Mather safe from the fire. I hope you all get free hay rides for life." It has been a traumatic ten days, but the camp is safe. No structures have burned. We have incurred minor damage to roads, irrigation, water pipelines, Birch Lake and most of all our forest -- but it is all fixable (perhaps the forest over much, much time). We are still fighting spot fires in and around the camp so we are not completely out of the woods, but the worst has moved on. A more detailed update to follow, but we owe a huge debt of gratitude to the many, many people who not only fought the fire so successfully, but who advocated, behind the scenes, for resources to help protect our beloved camp. We owe an extra special debt of gratitude to Paul Spring, Mike Cunnane, and John Ascariz who have provided invaluable support at the camp — ranging from pumping water, providing food, providing historical and geographical information and helping keep the camp safe in whatever way they were asked. How is the water at Hetch Hetchy? San Franciscans have been lucky to have a mountain getaway in Camp Mather since 1924. 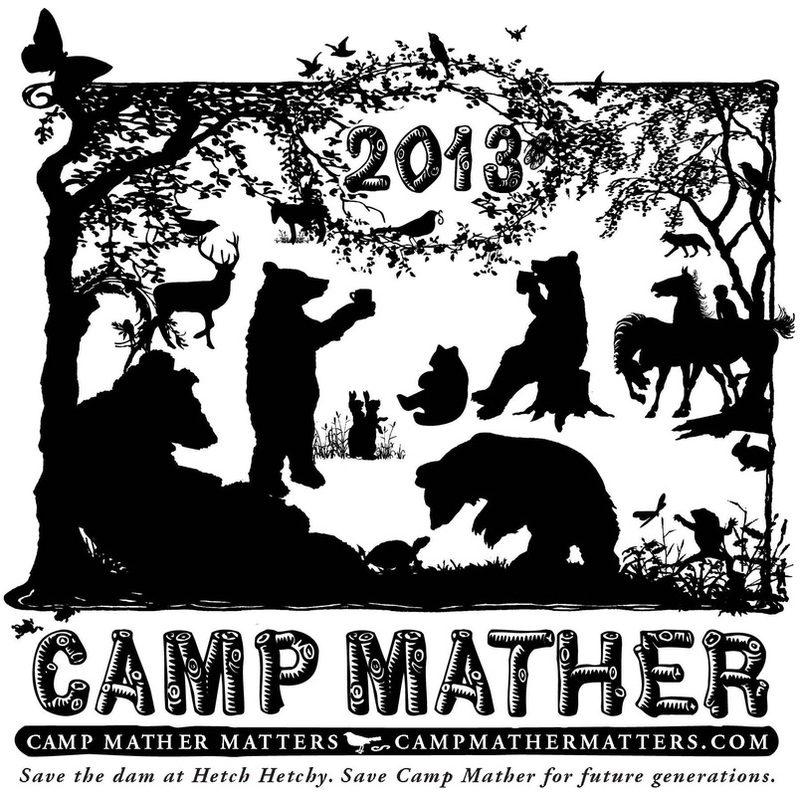 It was after the O'Shaunessey Dam at Hetch Hetchy was completed, and the crew that built the dam moved away that Camp Mather became San Franciscans' family camp. 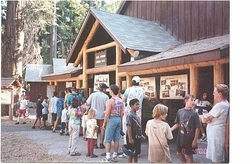 The camp, in the watershed area controlled by SFPUC that feeds Hetch Hetchy, was turned over to the San Francisco Recreation and Park Department which runs the camp for the 5,000+ campers every year. In addition to the R+P's summer sessions there have been two senior sessions (now down to one senior session at the end of summer) and two fall sessions. This gently cared for historic camp has a place in many hearts, and is a tradition for generations of families. There is a group that would like to remove the O'Shaugnessy Dam and drain the reservoir at Hetch Hetchy. Although it is unlikely that this will happen, if the dam is removed Camp Mather will be turned into a processing station for cement from the dam. 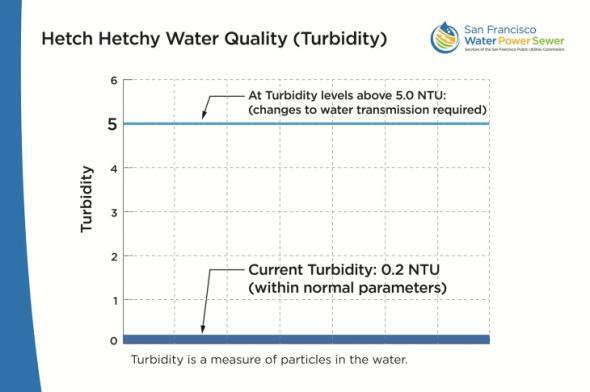 The study by "Restore Hetch Hetchy" (RHH) explains the process in its appendices and figures that the process of removing the dam would take five years. After the dam has been removed, after SFPUC is no longer leasing the watershed area that fed Hetch Hetchy, will San Francisco be given back its historic camp? Would it be in any shape to be enjoyed by San Franciscans? It seems unlikely. What argument could there be for a continued San Francisco Rec and Park presence in the area? The draining of Hetch Hetchy is a much larger issue than our beoved Camp Mather, but let's remember that along with billions of gallons of clean tasty drinking water, along with billions of megawatts of clean hydroelectricity, we would also be losing a dusty old camp - a camp full of stories and generations of family visits - a place where San Franciscans return year after year to rest and restore. A place where city kids come to be free. The Strawberry Music Festival also takes place at Camp Mather at the beginning and end of each summer, drawing about 5,000 music lovers to the camp over the Memorial Day weekend, and again over the Labor Day weekend. Luminaries on their Music Meadow stage include Arlo Guthrie, KD Lang and other country and bluegrass stars. Most festival goers have loyally attended every year for all 28 years. This year a baby was born at Strawberry, and there were at least two weddings performed. "Hetch Hetchy has already been restored. It was originally a glacier lake, and it has been made into a lake again."